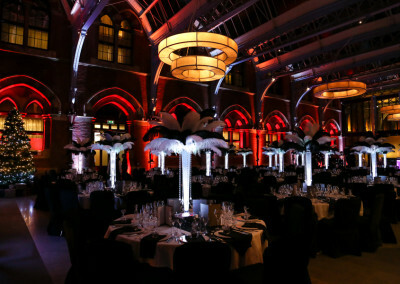 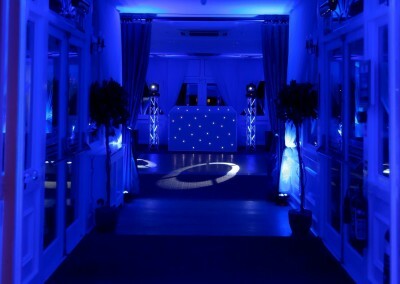 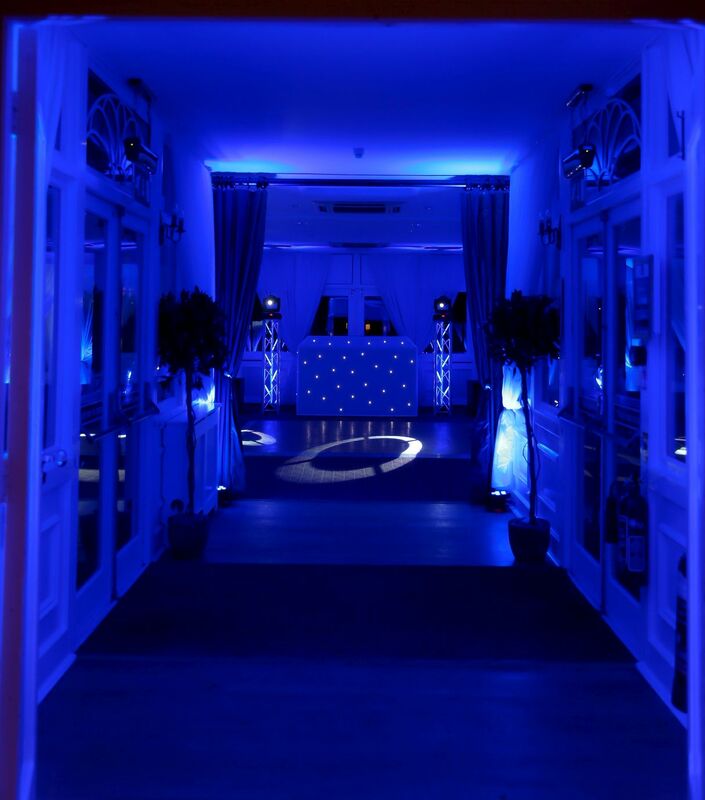 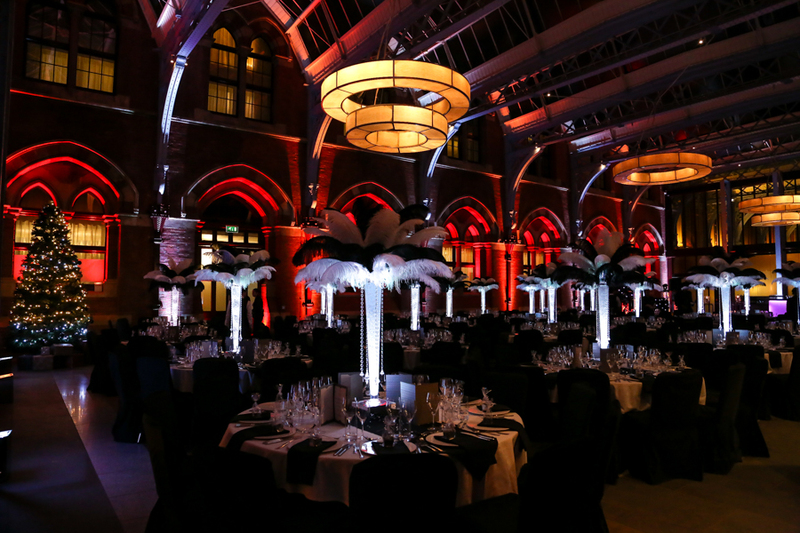 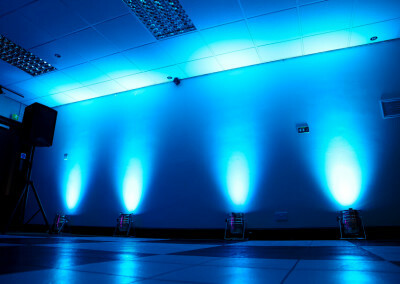 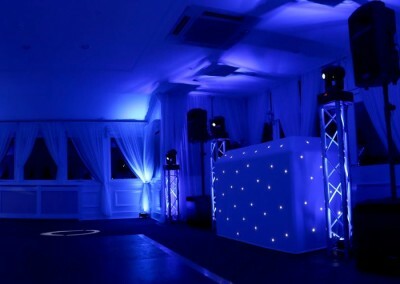 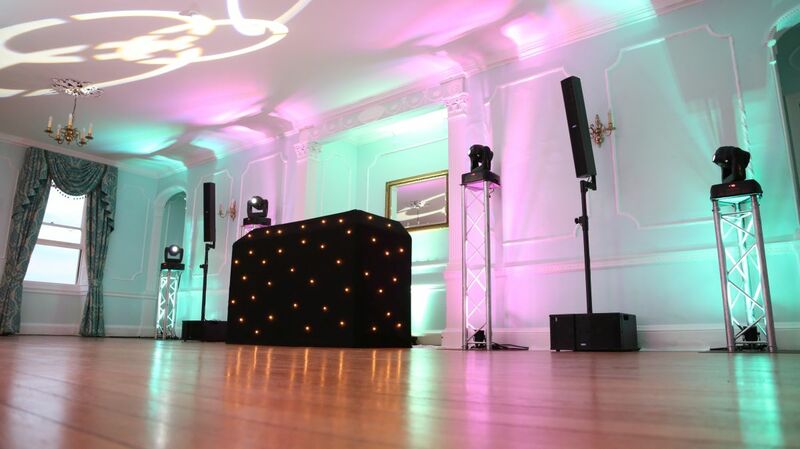 Uplighting / Mood lighting is a great way to add a splash of colour to your event! 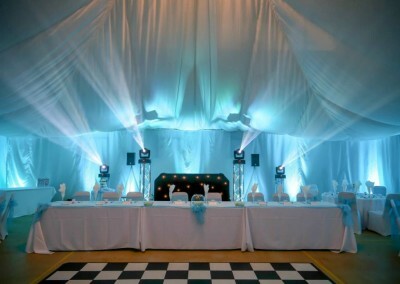 Create an ambience with your choice of colour to complement or match your theme/event colour. 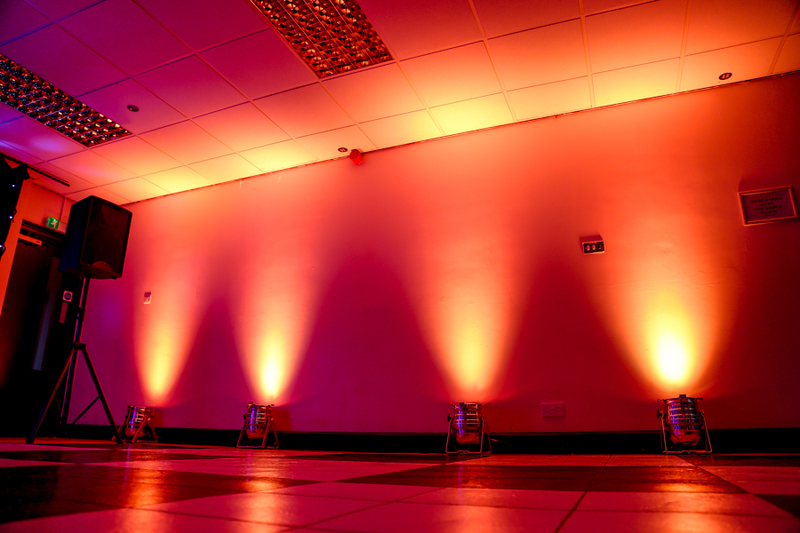 Our lighting incorporates the use of LED fixtures meaning colours can be mixed quickly to achieve your desired tone. 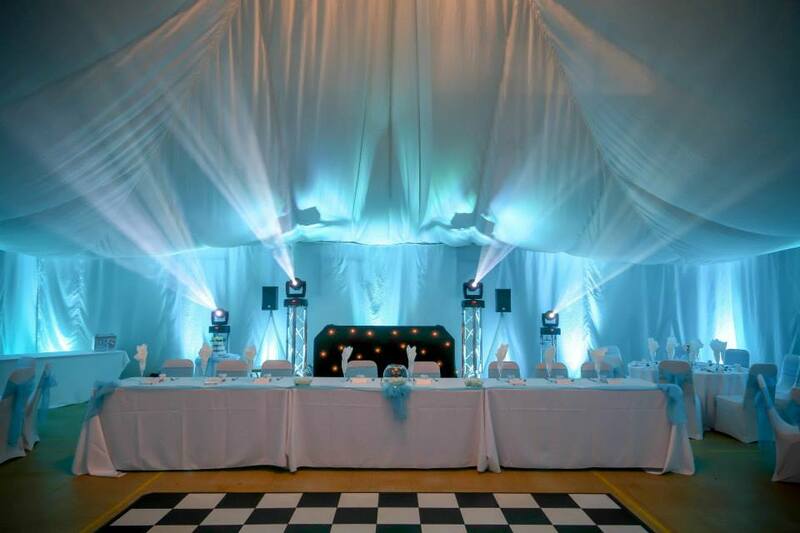 Should you require a colour to be changed/adjusted, it’ll only take a few seconds! 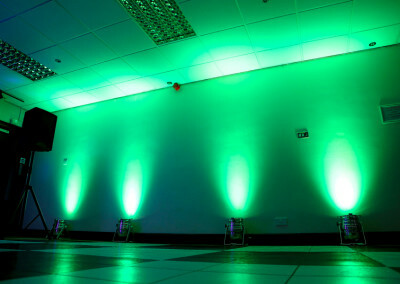 The beauty of LED lighting means there is very low power draw! 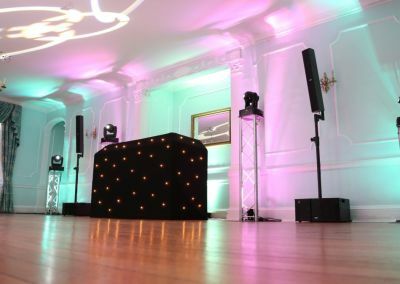 Our LED uplighters are fully wireless meaning they are battery powered and also have wireless control built in - we don’t even need any power at the venue! 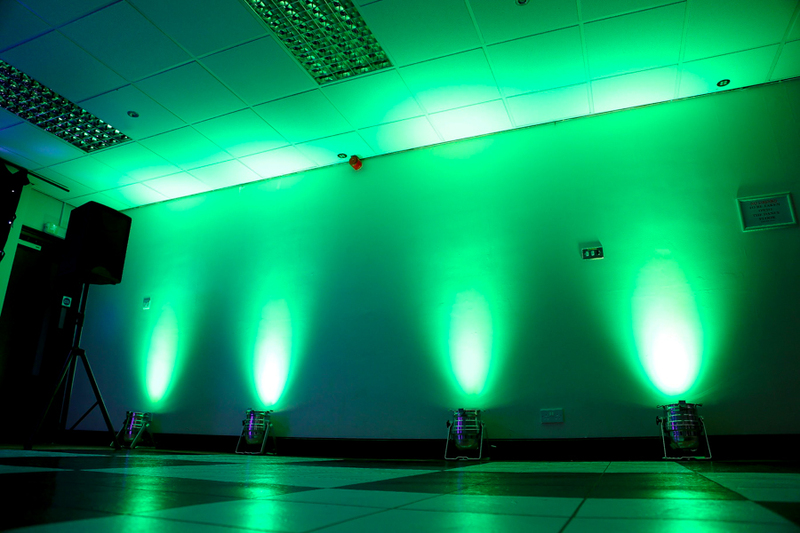 With a full charge the lights typically last 12 hours or so! Mood lighting is also known as up lighting as usually the light units themselves are placed on the floor with the projection of the light being angled towards a ceiling, wall or decorative feature. 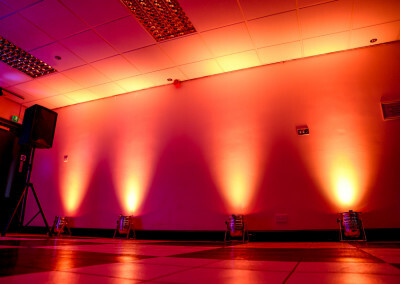 Up-lighting creates a beautiful wash of colour which adds to the atmosphere of the room. 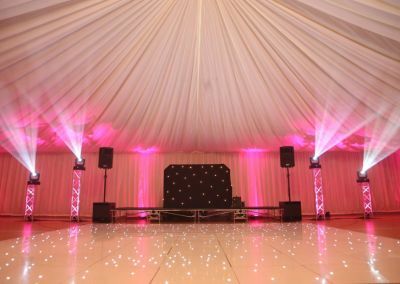 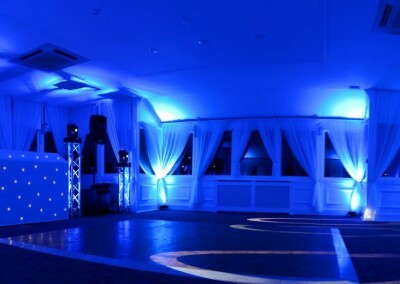 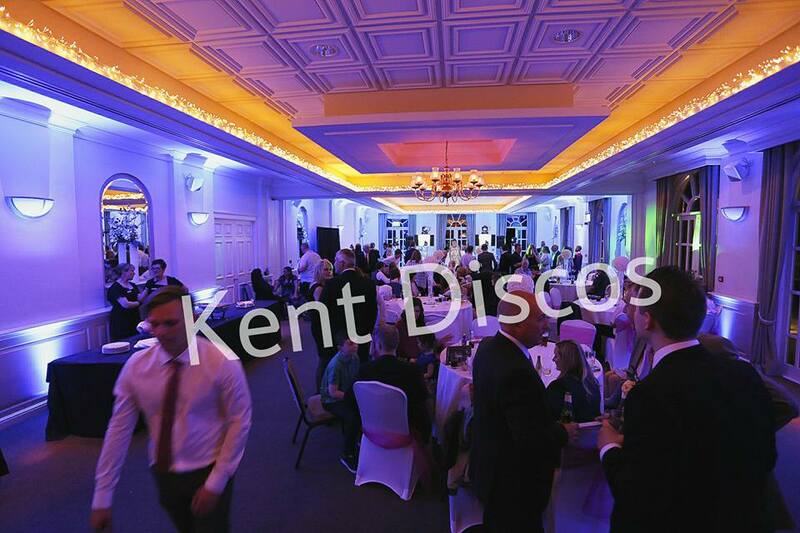 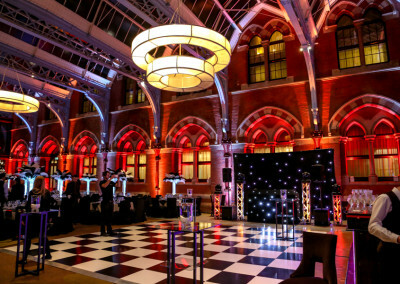 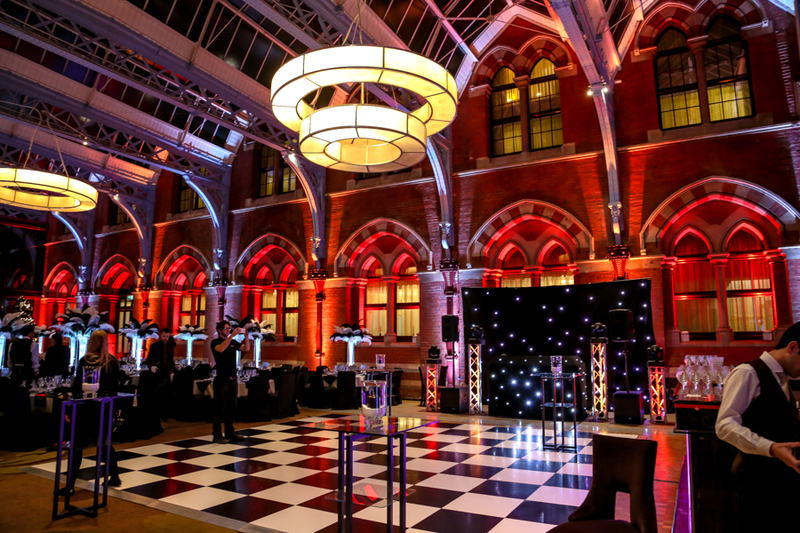 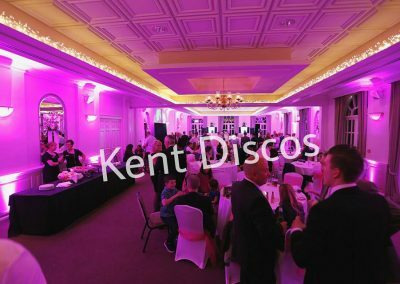 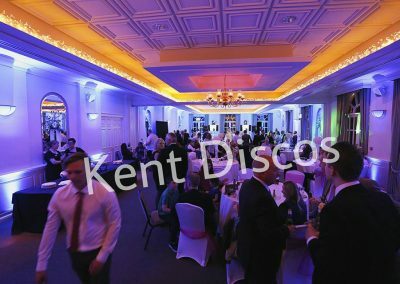 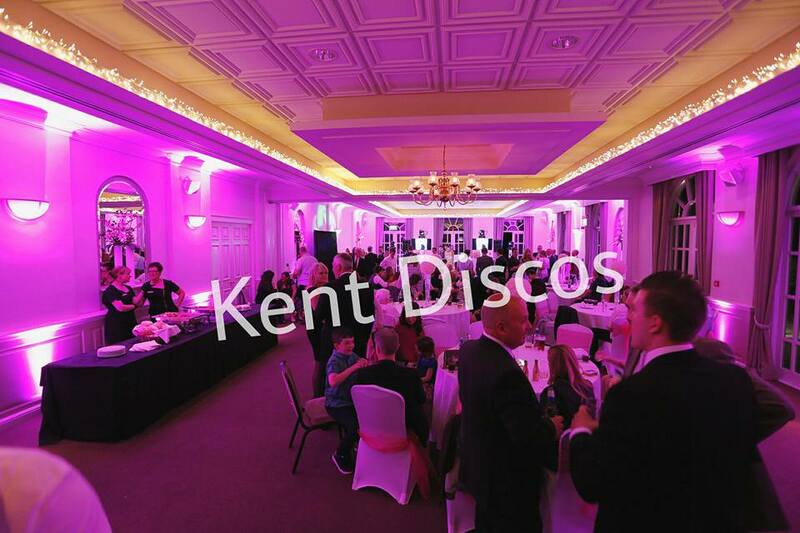 We offer a choice of either up-lighting a whole room with fixtures placed around the room or just surrounding the dance floor area. 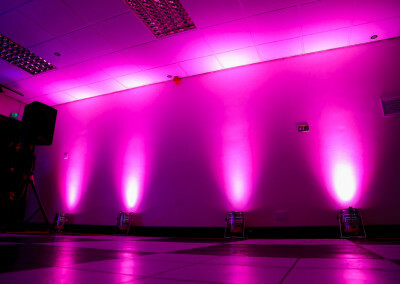 We also offer the option of computer controlling the up-lighting effects if you’d like to create some dramatic and dynamic effects with multiple colours! 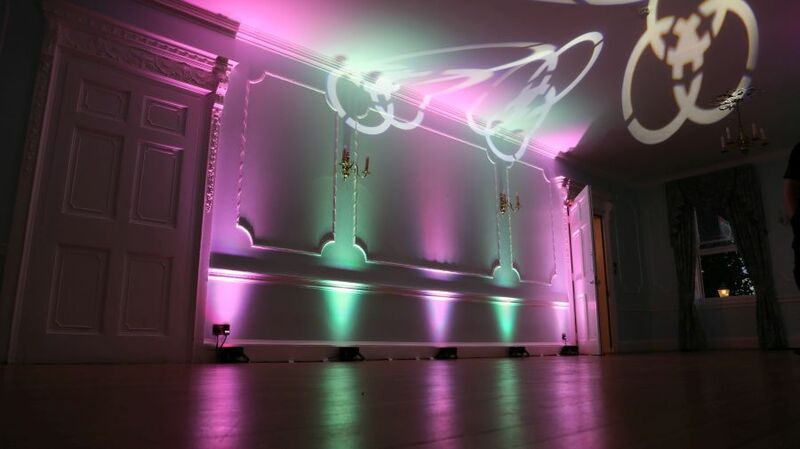 Up-lighting is also useful for complementing room features such as archways, alcoves and decorative objects. 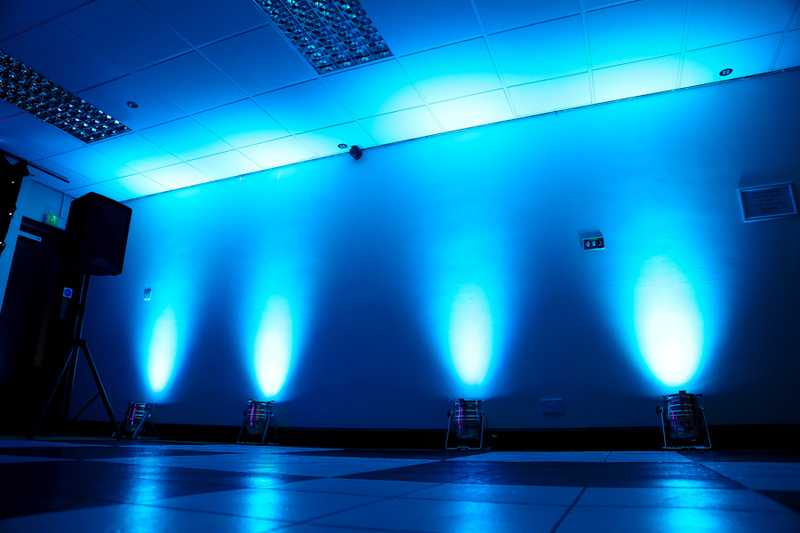 Of course this system is password protected so that no guests will start playing with your uplighting colours throughout the event!